This week I've been mucking about with the percussion parts. Not every song has one, but since that's my strong suit I thought I'd start there. 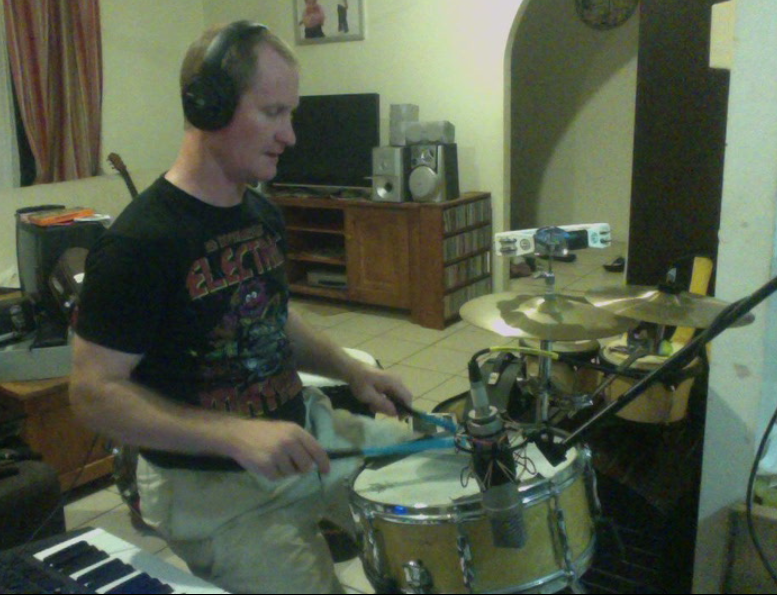 As you may have noticed, I have a heap of percussion toys to play with and I've written some combination of snare, djembe, shakers, tambourine, etc into most of the tracks. Can't wait to get the rest of them done this weekend! !